On Dec. 17, 1998, Iceland's parliament, the Althing, gave the go-ahead for a Delaware-based biotechnology company, deCODE Genetics Inc., to use existing health and genealogy records to establish a nationwide "health sector database ... with the aim of increasing knowledge in order to improve health and health services. "1 The public's participation was presumed--citizens were given six months to "opt out" of the plan. By June 17, 1999, with only about 9,000 of the country's 270,000 residents officially opted out, it was clear that the public had agreed to take part--or, put more accurately, had failed to disagree. This came as no surprise. "The polls have shown 88 percent of the population supports the database. I've been on the road a long time, and have talked to everyone, and there's almost universal support," says Kari Stefansson, founder and CEO of deCODE. But despite what seems like a successful maneuver on the parts of the government and deCODE, the issues underlying the Icelandic database controversy have not vanished. 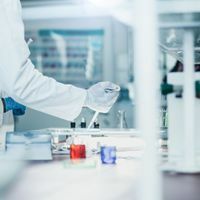 If anything, they will intensify in the months to come, as prominent geneticists and physicians continue to discuss scientific flaws and bioethical concerns of the project. Stefansson was a professor of neuropathology at Harvard Medical School when, in 1996, he founded deCODE with $12 million from seven U.S. venture capitalist organizations paying $1 a share. As he sought deeper pockets than academia could provide, Stefansson's vision for deCODE was to link Iceland's meticulous health records and genealogies (kept since World War I) with DNA information from tissue samples (kept since World War II), to discover the genetic underpinnings of many diseases. His native Iceland seemed the perfect mine for genetic prospecting--a small population stemming from 20,000 or so founders, with little immigration in a century. Against such a uniform gene pool and with so many pedigrees with which to work, disease-causing gene variants should, it seemed, be easy to trace. But for an endeavor of this magnitude, deCODE, calling itself a "population-based genomics company," needed population-level cooperation. A bill introduced in March 1998 asked parliament to grant an exclusive license to an organization to develop the database. Two events in February made deCODE the frontrunner: sale of an additional 2 million shares, at $5 each, to Icelanders, plus announcement of a collaboration with Hoffmann-LaRoche. The Basel, Switzerland-based pharmaceutical giant would develop drugs for 12 common disorders whose genes deCODE would map--and then provide such drugs free to Icelanders. Hoffmann-LaRoche will spend $200 million on the program over the next five years. The Icelandic parliament hotly debated the bill in June 1998, and a Gallup Poll then showed more than 90 percent of the population behind the effort. 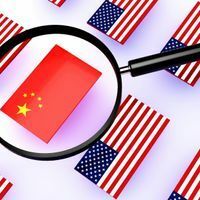 In response to criticism, a revised draft of the bill submitted in July further ensured confidentiality of participants, and removed a clause that restricted the scientific community's access to data that might conflict with deCODE's financial interests. The December vote granted a 12-year exclusive license to deCODE to develop the database. As the opt-out deadline loomed, another financial transaction took place. On June 16, "it was made public that half of deCODE stock had been bought by Icelandic financial institutions for $84 million. 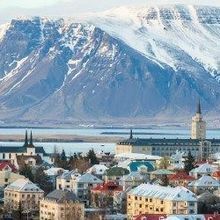 The U.S. venture capitalists ... have taken the money and run," says Einar Arnason, a professor of evolutionary biology and population genetics at the University of Iceland in Reykjavik. Over the past year, resistance among researchers has mounted, most visibly through Mannvernd, the Association of Icelanders for Ethics in Science and Medicine,2 an organization formed specifically to urge the government to suspend enactment of the law. Their mission statement says, "Mannvernd believes that this Act infringes on human rights, personal privacy, and on accepted medical, scientific and commercial standards." Stefannson claims that they are a minority, but a vocal one--the organization's Web site includes published and spoken objections from a who's who in U.S. genetics, including Leroy Hood, a professor of molecular biotechnology at the University of Washington; Richard Lewontin, the Alexander Agassiz professor of zoology at Harvard; Henry Greely, a professor of law at Stanford University; and Mary Claire King, a professor of genetics at the University of Washington. Even Hoffmann-LaRoche clearly distances itself from the database project. "deCODE pursues two distinctly separate and independent business plans," explains company spokesperson Peter Herrmann. 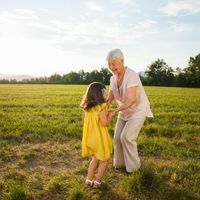 The first plan consists of standard family-based searches for genetic markers, including informed consent and bioethics committee approval, with the data sent to pharmaceutical and academic partners to develop diagnostics and therapeutics. The second plan is the national database. "Hoffmann-LaRoche's research collaboration with deCODE is structured exclusively and entirely along the first business plan model, and is completely independent of the establishment of the overall database," Herrmann clarifies. Medical organizations, fearing loss of access to existing, small databases such as patient registries, are aligning behind Mannvernd. The Icelandic Medical Association (IMA) advises its members to refuse to submit patient records. "A large number of physicians have signed a declaration to that effect," reports Bogi Andersen, an assistant professor of medicine at the University of California at San Diego.3 And at a meeting in Santiago, Chile, in April, the World Medical Association officially backed the IMA.4 At the meeting, Tomas Zoega, chair of the IMA's ethics committee, warned that if the project were not halted, similar endeavors would begin here. deCODE has set itself a broad and, some geneticists say, misguided goal, targeting nearly every disease category with the possible exception of hangnails. Company literature states, "Using the database, the company plans to discover therapeutics for genetic abnormalities leading to diseases of the central nervous system, autoimmune diseases, metabolic disorders, psychiatric disorders and cancer." This everything-but-the-kitchen-sink approach is at odds with traditional genetic research, which has focused on single-gene disorders, where Mendel's laws predict recurrence risks. In contrast are multifactorial or "complex" traits for which predictions are less precise, if not impossible, because of the input of multiple genes and the environment. Deriving information on such complex diseases from pedigrees, as one would for a single-gene trait, may be difficult, if not fundamentally flawed. John Edwards, an emeritus professor of genetics at the University of Oxford, calls the single-gene approach "flat Earth navigation of the genome," distinguishing it from the round Earth navigation necessary to analyze complex traits.5 Part of the problem, he says, is the popularization of a technical term. "'Complex diseases' is a new grantworthy term for 'common diseases.'" Instead of looking to future technology, Edwards suggests, deCODE might consult the work of geneticists from the 1920s and 1930s who explained the challenges of analyzing multifactorial traits. Edwards and others also contest the widely circulated idea that the Icelandic gene pool is so uniform that disease-causing gene variants will stick out like the proverbial sore thumb. Although historical records confirm the population-thinning bottleneck effects of smallpox and plague epidemics and a volcanic eruption, numbers did not plummet below 20,000, preserving some diversity. "Bottlenecks are not helpful for genetics because they lose genes. But genetic knowledge is not a strong point with deCODE," Edwards says. "The so-called isolation and homogeneity of the Icelanders is much overrated," adds Arnason. Serological evidence indicates Norse, Celtic, and Gaelic ancestry, according to Melvin McInnis, an associate professor of psychiatry at the Johns Hopkins University School of Medicine, who is three-fourths Icelandic.6 Adds Lewontin, "Since 1973 we have known a good deal about the actual gene frequencies in Icelanders. Icelanders, Scots, Irish, and Norwegians are all remarkably similar at the population level." That similarity reflects past piracy. "Viking raids were constant, and they brought back slaves and women. There is nothing to distinguish Icelanders from other northern European groups genetically. But for geopolitical reasons, they form a captive population that Dr. Stefansson can use. He couldn't get away with it in Scotland, Ireland, or Norway," Lewontin adds. Another objection is statistical--the database will be biased. Explains Arnason, "Those who consider themselves to be relatively healthy will say, 'I don't care if information about me is put in the database. I may have a wart on my knuckle, but I don't care about that.'" But families with diseases that they think are inherited will not cooperate, to protect their children, he adds. The legislation emphasizes data encryption to protect confidentiality, but the language is unsettling. For example, the law deems data anonymous "if it would require a considerable amount of time and manpower in order to identify him/her." But several scientists have pointed out that updating the database will present opportunities to break the encryption code. Like a small high school where each student can be identified by a set of characteristics, as DNA sequences are added to the database it will become easier to identify individuals. The legislation acknowledges this potential problem by requiring employees to sign an oath of confidentiality not to reveal such information. Presumed consent is an unfamiliar concept to many biomedical scientists. A major problem with this approach, Arnason says, is that it isn't easy to opt out. A citizen must officially request noninclusion of medical records to the director general of the public health service. "You need to get the forms from a pharmacy or health institute, get an envelope and stamps, or go to the post office. Iceland is not a mail-oriented country. There are no mailboxes on every street corner, and many people don't have envelopes in their homes," he says. However, the surgeon general has extended the opt-out period until deCODE is officially granted the license. Many Icelanders may have stayed in the game for patriotic reasons. The law lists potential benefits of the database: increased knowledge, better quality health care, more high-tech industry, and business attraction. But specific details are noticeably lacking. Wrote the Icelandic Office for Human Rights to the parliament just before the December vote, "There is no information on what the database will be used for, what information it will contain or how the information will be processed." Even the public seems aware of the vagueness of the law. According to a Gallup Poll taken in November 1998, only 13 percent of a representative sample of citizens said that they understood the bill. Ironically, many geneticists agree with deCODE that studying Icelanders has value. After all, much current knowledge of human genetics comes from groups of people isolated from larger populations, such as the Pima Indians of Arizona and their inherited tendency to diabetes, and the Mormons of Utah, with their exquisitely detailed genealogies. It is the method of securing cooperation among the Icelandic population--presumed consent based on incomplete understanding of the scientific issues--that underlies the opposition. Several geneticists see a compromise: Rely instead on smaller databases, such as disease-based patient groups, suggest Bernhard Palsson, a professor of bioengineering at the University of California, San Diego, and Snorri Thorgeirsson, chief of the laboratory of experimental carcinogenesis at the National Cancer Institute.8 Arnason takes it one step farther: "I suggest building small databases on particular diseases, curated by a small group of people. The cancer registry is an example. Errors can be corrected, and the database kept up to date with changes in diagnoses and so on. We would then interconnect several such small, high-quality databases. Each study would be evaluated by a data protection committee and a bioethics committee and approved by the curators. A model like this would be superior for research purposes." The story of Iceland's health sector database project is just beginning and is being watched worldwide for its possible precedent-setting role. A team of bioethicists from the University of Pennsylvania will tour Iceland this summer. Reports team planner Jon Merz, "We intend to talk not only to scientists, but to [the] Althing members and staff, the health department and the surgeon general, and lawyers, ministers, and doctors of all stripes." Ricki Lewis is a contributing editor for The Scientist. B. Andersen, T. Zoega, "Icelandic genetics," Nature Biotechnology, 17:517, June 1999. N. Duncan, "World Medical Association opposes Icelandic gene database," British Medical Journal, 318:1096, April 24, 1999. J.H. Edwards, "Unifactorial models are not appropriate for multifactorial disease," British Medical Journal, 318:1353, May 15, 1999. O. Bjarnason et al., "The blood groups of Icelanders," Annals of Human Genetics, 36:425-58, 1973. G. Ragnarsson, "Opposition to the Icelandic database is based on false information," British Medical Journal, 318:1354, May 15, 1999. B. Palsson, S. Thorgeirsson, "Decoding developments in Iceland," Nature Biotechnology, 17:407, May 1999.